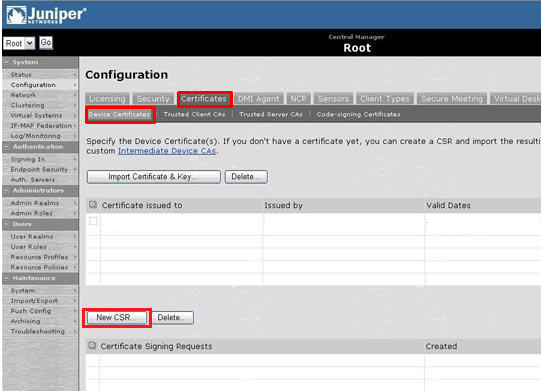 In the admin console, choose System > Configuration > Certificates > Device Certificates. Common Name: The fully-qualified domain name, or URL, you’re securing. for example “www.domain.com”. 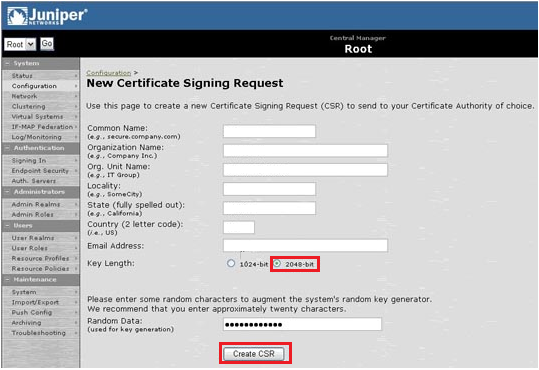 If you are requesting a Wildcard certificate, add an asterisk (*) to the left of the common name where you want the wildcard, for example *.domain.com. Organization Name: If the company or department has an &, @, or any other symbol using the shift key in its name, the symbol must be spelled out or omitted, in order to enroll. Example: XY & Z Corporation would be XYZ Corporation or XY and Z Corporation. 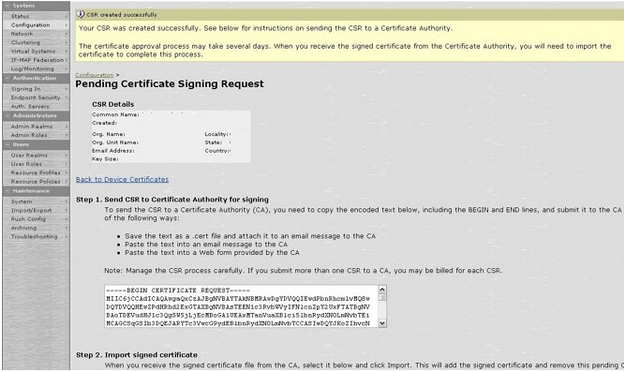 On the next page you will see that your CSR request has been created. Under Step 1 copy and paste its entire contents into the CA enrollment portal when prompted.